How tough do you think you are? There’s something remarkable when you see a person push himself to the limits–whether its emotional, mental or physical. What more when it’s all three challenges and a person’s limit is put on display? 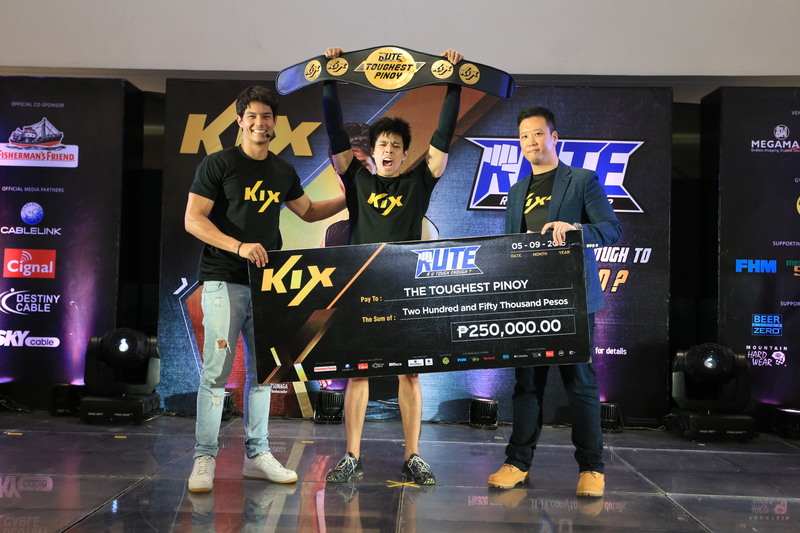 This is the premise behind KIX’s “R U Tough Enough?” (RUTE), the nationwide search for the Toughest Pinoy. 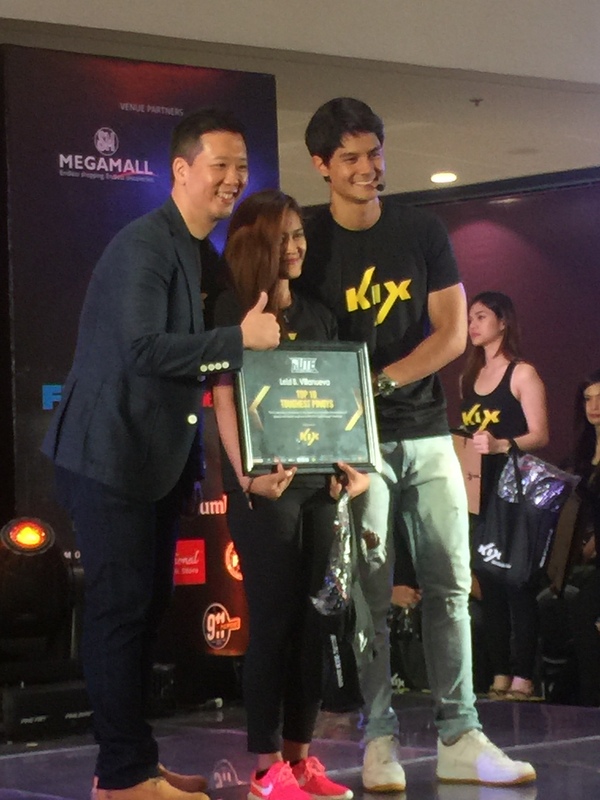 Launched in August and fronted by RUTE Ambassador Daniel Matsunaga, the challenge for the Toughest Pinoy generated 300 applications from eager Pinoys across the nation and from all walks of life. Shortlisted applicants were invited for a closed-door audition until it was whittled down to the final ten finalists who showcased their physical, mental and emotional strengths to take on the challenges. Named to the top ten are: “The Courageous Chinito” Markus Lim; “The Charitable Champion” Rhimbo Severino; “The Determined Dabawenyo” Nathaniel Sanchez; “The Independent Idealist” Lei Villanueva; “The Daring Dreamer” Reyn Talosig; “The Mighty Model” Cheann Kubota; “The Feracious Firefighter” Neil Boclongan; “The Dauntless Daddy” Jaime Completo; “The Fearless Foreignoy” Ribbi Saleh and “The Extraordinary Ex-Rebel” Rocky Ramos. The ten was whittled to nine since Kubota had fallen ill on the day of the competition. 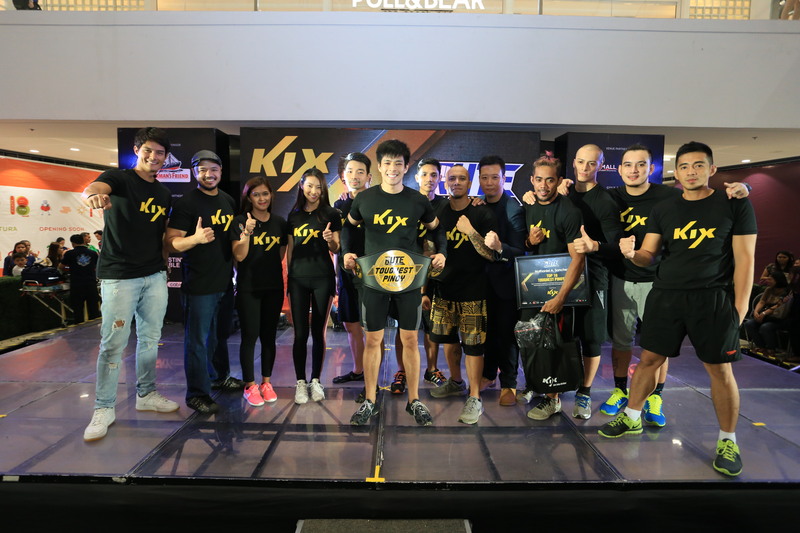 The final nine challengers of KIX channel’s “R U Tough Enough” challenge won more than its share of admirers after they have showcased their mettle and skills in the final challenge held at Mega Fashion Hall in SM Megamall. Set to the cheers of their loved ones and the adoring crowd, all nine challengers went on their way to battle six types of challenges in a multi-stage obstacle course. 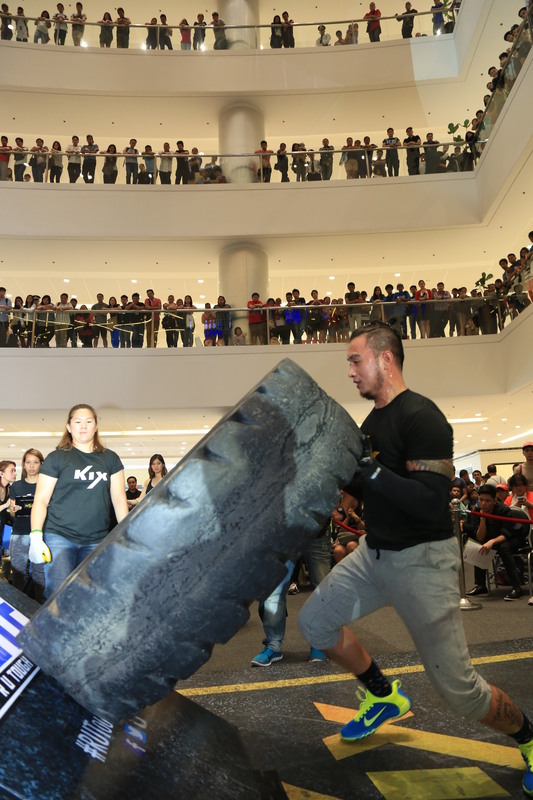 The multi-stage obstacle course, which took over the entire ground floor of the Mega Fashion Hall pushed the contestants to their limits with challenges testing their ability to endure. All of the top 10 finalists put their toughest faces on, gritted their teeth, and pushed through to the very end. But at the end of the day, there could only be one winner. Reyn “The Daring Dreamer” Talosig, a 34-year old poet and musician from Quezon City, was named the Toughest Pinoy and walked away with grand prize of Php 250,000.00. One of the competitors who surely won the admiration of the crowd is the lone female competitor, Lei Villanueva. A 30-year old admin officer and student, Lei did not back down from any of the challenges done by her male competitors. 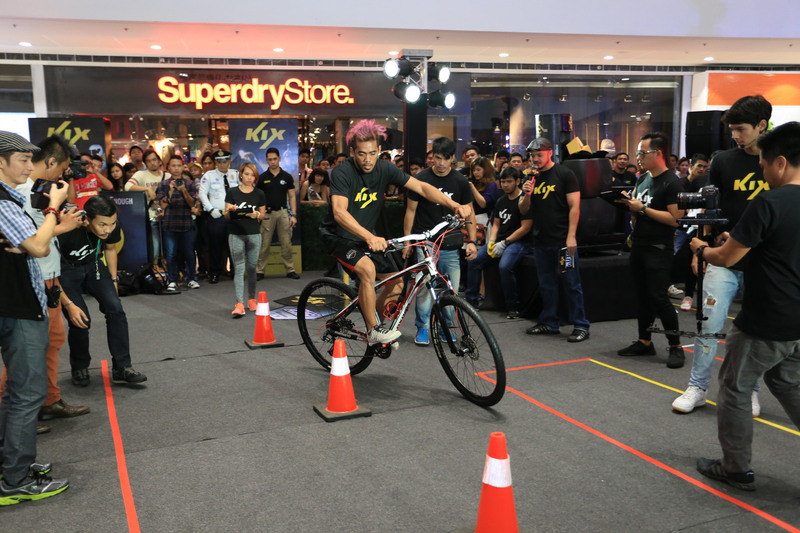 Buoyed by the support of her family who was watching the competition on the floor right above the Mega Fashion Hall, Lei finished the course in 11 minutes, no doubt way above the clocked time of the male competitors, but nonetheless still an impressive feat. After an impressive showing during the “Tug of Rope” part of the challenge, Villanueva managed to score a victory as part of Top 5 competitors.